Growing up, Doug knew he was destined to have a career in real estate. His parents were involved with buying real estate, and his mother was a top REALTOR® in the St. Charles County area for many years. After a short career in radio, Doug decided to join the family business, and had owned & operated his own successful office for many years. 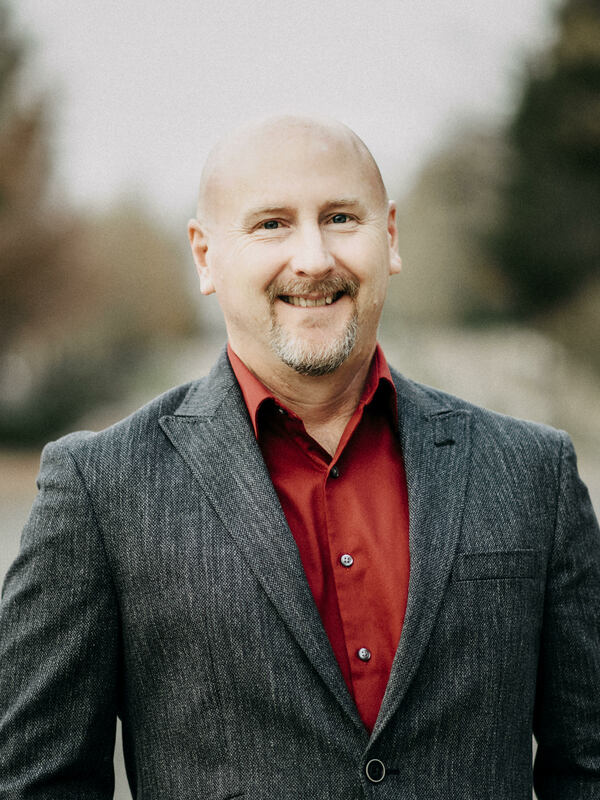 Doug’s 20+ years of real estate experience and his attention to detail are what set him apart from the average agent. His focus is always on the client’s best interest, and his experience has taught him how to foresee potential problems in the transaction before they occur, thereby making sure his clients are always prepared and informed throughout the entire process. Doug has always considered his job description to be more of a consultant role, rather than a salesperson. He feels his duty as a Realtor® is to inform, educate, and skillfully guide his clients through the often challenging process of selling or buying a home. Doug’s friendly, relaxed demeanor makes him a trusted advocate for his clients, and the reason that they continue to call him (and refer him to their friends and family) anytime they have a real-estate question or need. Doug is married, and he and his wife are proud co-parents of 6 children, plus 6 of the cutest grand kids anyone could ask for! In his spare time, Doug is an avid reader, loves to cook, and is passionate about volunteering with children. Doug is absolutely wonderful to work with. He is extremely knowledgeable in his field and was always available to answer questions along the way. He sold our home in 6 days and we received full asking price. I would highly recommend Doug to anyone looking to buy/sell a home. Whether you are looking to buy or sell, Doug Howell is your professional. He offers a range of services to fit your needs and always has your best interest at heart. Doug is honest, hard-working and very easy to work with...a super great guy. He sold my home fast. Give him a call! Doug knows the St. Charles County area well. We have listed and sold a property with him in the past that sold quickly and he helped us with a very amiable purchase this year. He is my first choice for a real estate agent, as he is very personable and intuitive. I like working with Doug, because he is in tune with his clients needs. We relocated to MO this summer from out of state and we couldn't have done it without Doug's help. We had only a week to find a house and Doug was able to match our schedule so we were able to see all the houses we wanted in that time. He represented us at the home inspection, scheduled the survey on our behalf, and was quick to help gather any information the mortgage and title companies needed. In the end, we had a great house ready when we wanted it and for below asking price! Doug was a delight to work with, very friendly & knowledgeable. He was always there to answer any questions, even after we closed! I hated working with real estate brokers in the past because I felt they were pushy and and not responding to our needs. Doug was completely honest with us and often went to the seller to get answers to our questions. By the time we closed, we felt like we had a new friend! My son's house needed to be sold due to health problems and we had the great fortune of Doug Howell as our realtor. We found Doug while my wife and I were in the market for our current home. We had a different agent and Doug was the seller's agent for what would become our current home. We were so impressed with our brief conversation with Doug (the seller's agent) those years ago when we bought our home that when we needed a realtor, it was a no brainer. We picked him to help sell my son's house and it was the simplest and best real-estate experience my wife or I have ever had. He's a class act with years and years of experience personally and in his family. His level of competence, professionalism, ethic, and person-ability is a rare find and we couldn't recommend him more highly. Doug is a very knowledgeable agent. We loved working with him. He is always ready to show you your possible dream home at a moments notice. Highly recommend him as your real estate agent. He'll work hard for you, like he did for us. Doug helped me buy a modular on a foundation with well and septic. He always kept me up to date on the many things that we had to find out about the home to qualify for an FHA loan. He got us closed in one month and I felt that he truly earned his keep on this one.